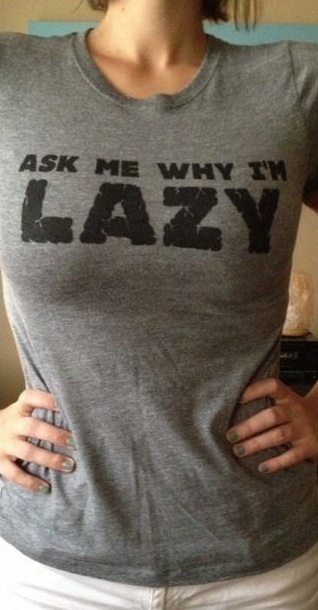 If you see a girl in "Ask Me Why I'm Lazy" t-shirt, just ask her... The answer will surprise you. why are you lazy? why are you lazy? why are you lazy? why are you lazy? why are you lazy? why are you lazy? why are you lazy? why are you lazy? why are you lazy? why are you lazy? why are you lazy? why are you lazy? why are you lazy? why are you lazy? why are you lazy? why are you lazy? why are you lazy? why are you lazy? why are you lazy? why are you lazy? why are you lazy? why are you lazy? why are you lazy? why are you lazy? why are you lazy? why are you lazy? why are you lazy? why are you lazy? Slow like a Sloth? Okay. I do believe I need to buy those and hand them out at college!